If you're an avid hiker, or simply just itching to spend time outdoors in Cape Town, I always recommend hiking up Table Mountain. One popular route for tourists and locals alike is Platteklip Gorge. This steep staircase goes up the front side of the mountain and takes about 2 to 2.5 hours to complete, depending on your fitness level. At the top, an additional 3km walk west will take you to the upper cable car station. Time it so that you can be up there for for sunset, and take the cable car down at dusk. Just remember, your car will still be 4km walk down Tafelberg Road when you descend. 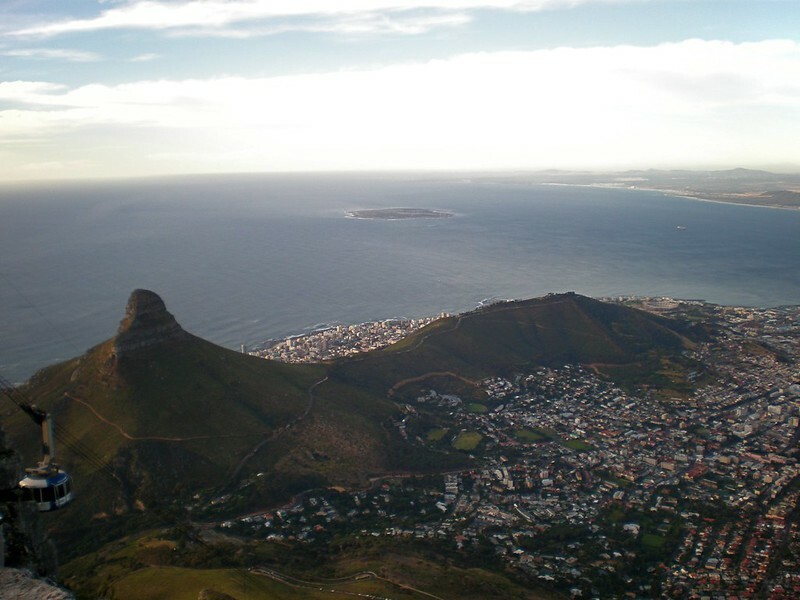 The next best hike in the city bowl is Lion's Head at sunrise (the peak on the left in the photo below). The views of the Atlantic Ocean are fantastic, and best of all, you'll have Table Mountain as a backdrop in your photographs. 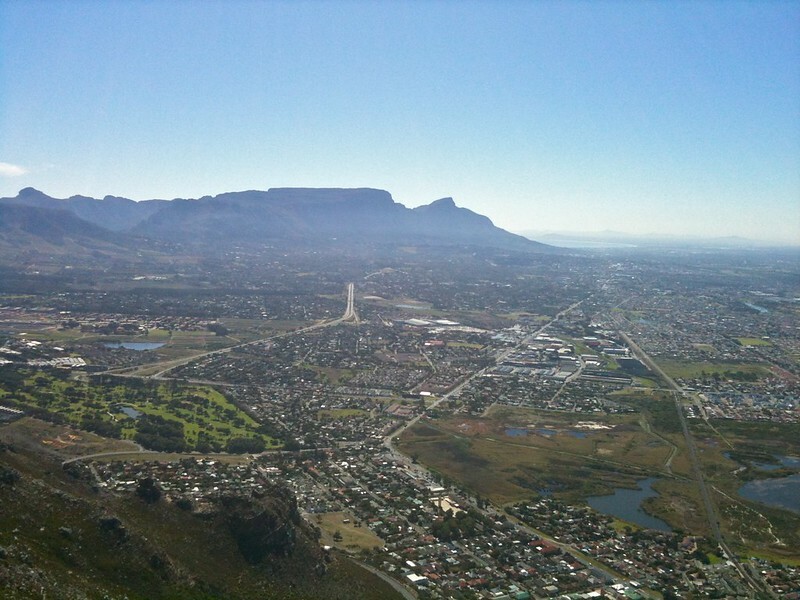 You can reach the top of Muizenberg Peak by starting at the Pioneer Valley entrance on Boyes Drive. 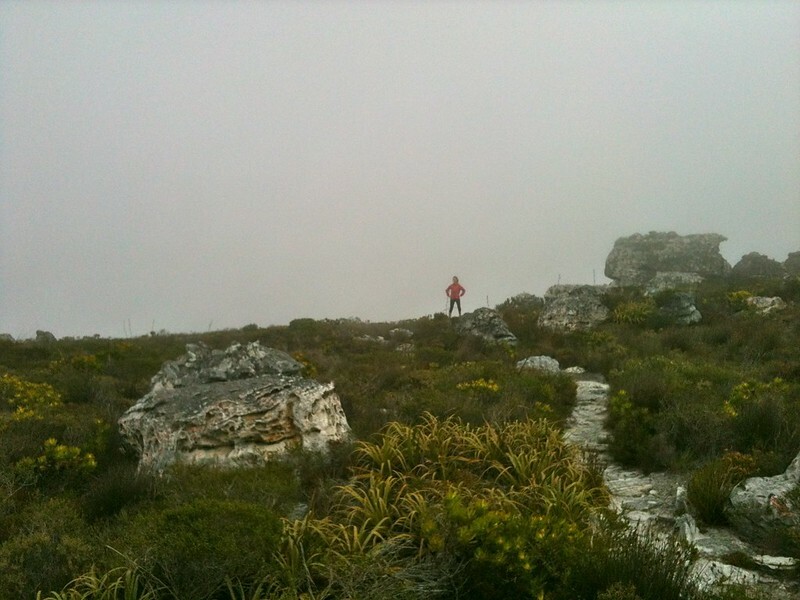 Large rocks positioned through the natural curvature of the runoff area for this peak makes for a tiring ascent, but once you reach Silvermine Valley, it's not much further to the peak. From here, you have a cool total view of the Atlantic, the Southern Suburbs and False Bay. Spes Bona is a forest tucked in the side of raised wooden boardwalks protect Yellowwood and Milkwood trees from harm along this uphill route. The old, gnarly trees and fuzzy, lichen covered rocks transport you to a place that looks surreal and otherworldly, making this a truly memorable walk. On all hikes, remember to dress in layers because the weather can change quickly. Bring plenty of water, as well as a few snacks when heading out for more than an hour. Cellphone service is generally good on the Cape, but when hiking alone, be sure to share your plans with someone before leaving. Safety is generally not a concern, but try to hike with only the essentials and leave the valuables at home (and definitely not in the car).